Recycle old batteries for LauraLynn and the environment! LauraLynn, Ireland’s Children’s Hospice has been WEEE Ireland’s charity partner since 2011. Since then, every battery recycled by the public in the blue WEEE Ireland battery boxes has gone towards a donation fund for the charity. WEEE Ireland’s overall donation to LauraLynn since 2011 is a staggering €340,000! 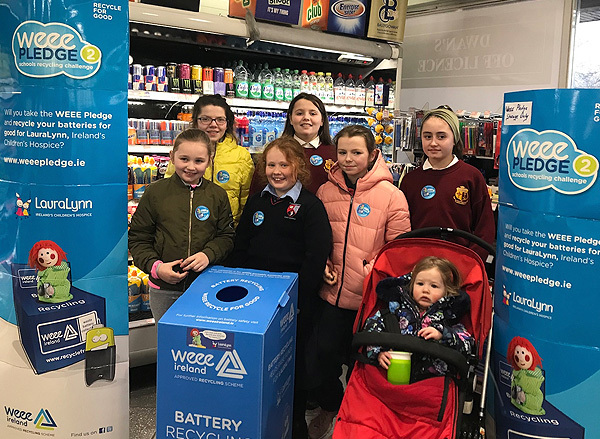 This new year, WEEE Ireland are once again asking schools to come together and recycle old batteries in your school to help raise funds for LauraLynn. 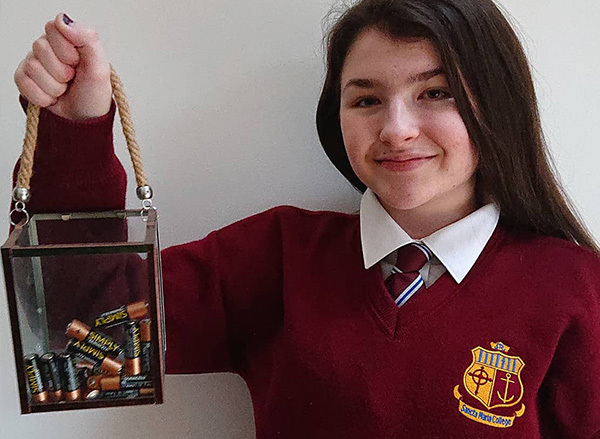 Leah Curtis, (pictured above) from Woodstown Village Knocklyon, a pupil in Sancta Maria College, Ballyroan, Dublin 16, became involved in the WEEE Ireland Battery Box collection initiative after learning the long-term effects of batteries. To get involved, all you need to do is bring your waste batteries to your school and pop them in to the blue WEEE Ireland battery box. WEEE Thank you Leah for all your hard work!